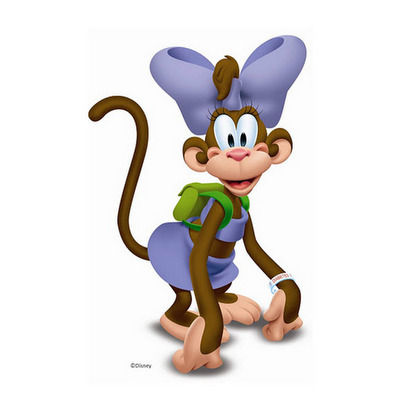 Coco is a young monkey who has type 1 diabetes (and just happens to star in a series of picture books with her friends Mickey Mouse and Goofy). Print out the picture of Coco below and let your child color her in! Click here to download and print the coloring page. Disclaimer: The experiences and suggestions recounted in these articles are not intended as medical advice, and they are not necessarily the "typical" experiences of families with a child who has type 1 diabetes. These situations are unique to the families depicted. Families should check with their healthcare professionals regarding the treatment of type 1 diabetes and the frequency of blood glucose monitoring.